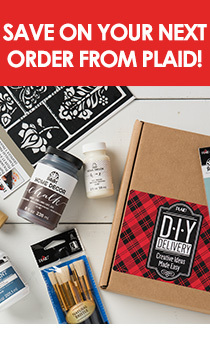 If you're seeking decoupage project ideas for a Mother's Day or Father's Day gift, download this FREE eBook for 10 free decoupage project ideas—ranging from jewelry to coffee mugs—so get a couple bottles of your favorite Mod Podge formula, and start crafting! Whether you are a beginning decoupager or have used Mod Podge for years, it’s always great to have some new ideas and inspiration. One of the best things about Mod Podge is that it can be used on a wide variety of surfaces, from wood to tin to paper to glass. Decoupage is such an inexpensive way to “get your craft on,” and you are almost guaranteed great results because the process is so simple! Mod Podge ® Paper - Gloss, 8 oz. Mod Podge ® Image Transfer Medium Clear with Brush, 2 oz. Mod Podge ® Matte, 32 oz.